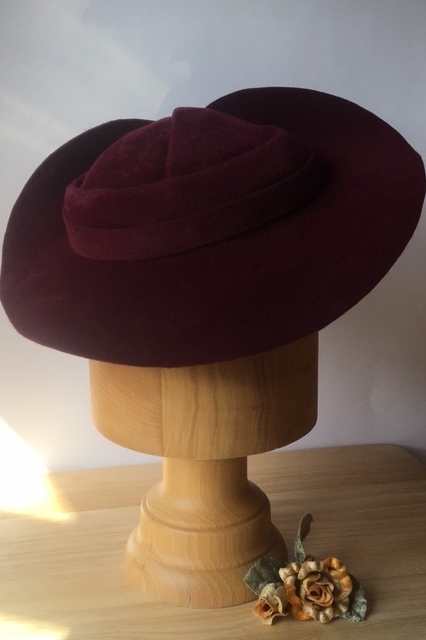 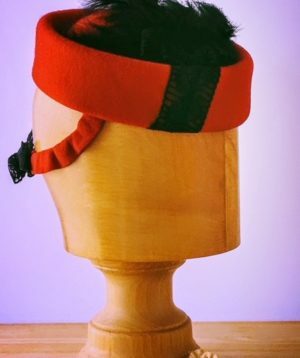 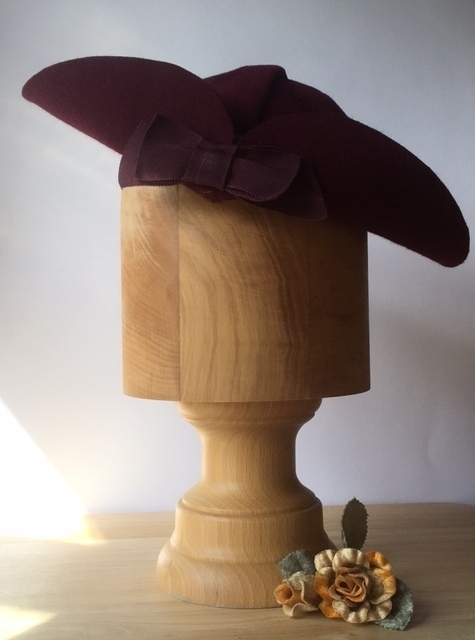 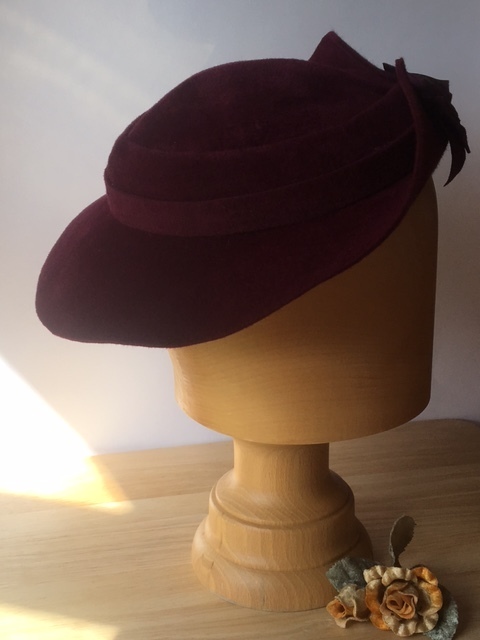 A gorgeous red burgundy coloured fur felt hat. 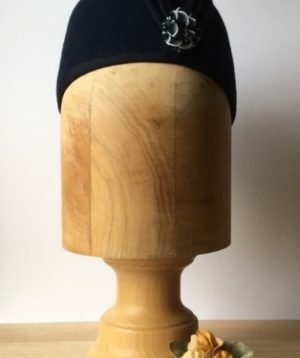 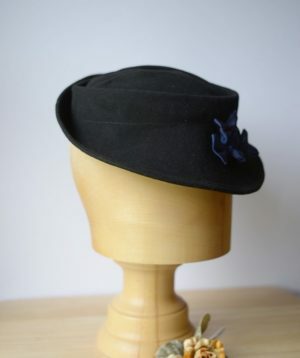 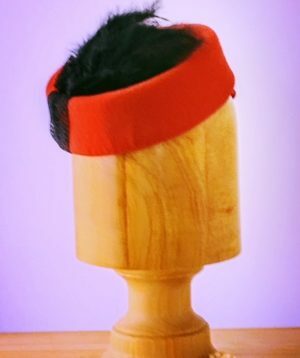 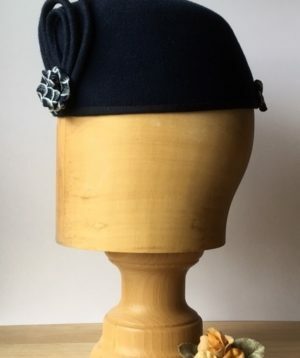 This hat has a brim that is tilted and secured upwards on the crown at the back and can be tilted left or right. 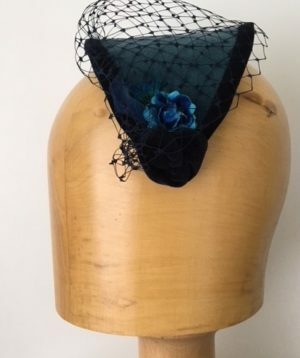 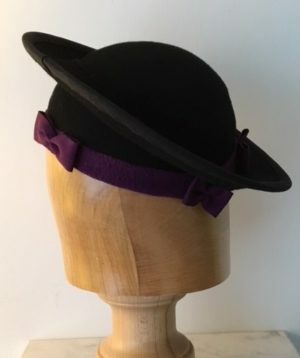 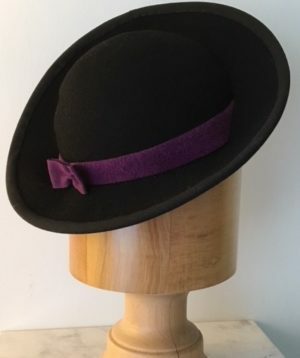 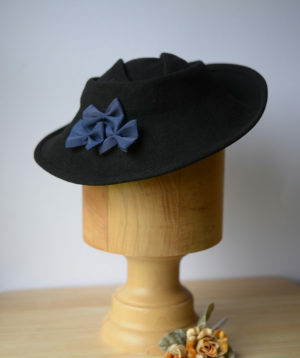 It is finished with a plum coloured grosgrain/petersham ribbon bow and has a hat elastic.